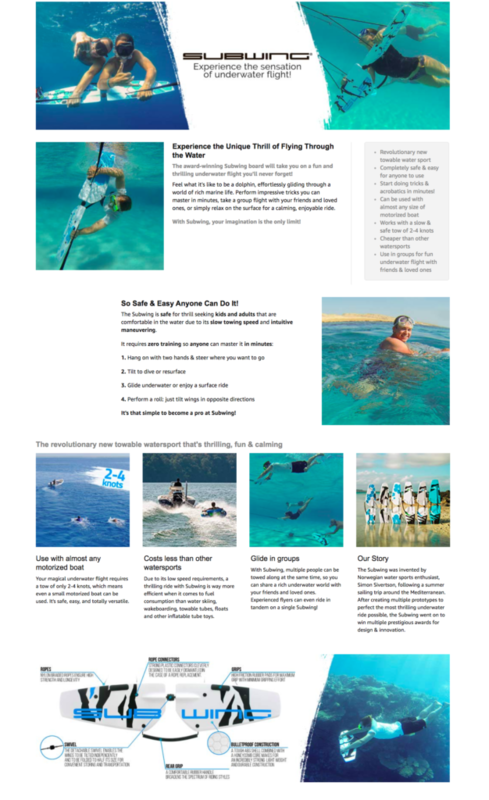 Revolutionary new watersports company, Subwing, hired my branding and copywriting expertise to refresh and optimize their Amazon Enhanced Brand Content (EBC) for their award-winning product. In addition to SEO optimization, I crafted rich, benefit-lead marketing copy that introduced the exciting new sport to Amazon customers. After creating the new listing, sales increased by 62% – and rising!